It's said that half of all humans have died from one infection -- malaria. But today in many parts of the developed world malaria is just a travel or global health concern. However, it must be remembered that relegating malaria to such a status was a great human achievement as malaria had a much bigger planetary profile in the past -- indeed Washington DC was literally, at one time, a malarious swamp. A new case of fatal cerebral malaria in northern Italy is a stark reminder that this disease can have a much bigger impact if it is allowed to. Italy was freed of malaria in only 1970 the result of strong eradication campaigns that beat the mosquito back. However, there have been reports of recent possible local transmission in the southcentral part of the country. It is unclear, at this time, how the disease was contracted as the patient had not traveled abroad. An unknown pool of possibly Italian Anopheles mosquitoes is infected with the parasite and just found the right opportunity to transmit to the now deceased four year old child. There is some question whether a contaminated needle may have played a role as well as travel related malaria cases were treated around the same time at the same hospital. Malaria is a complex infectious disease that has marked the human race and provided a tremendous evolutionary pressure on our species. Alarming rates of drug resistance to artemesinin, if they spread to Africa, could be catastrophic. The disease, however, can be defeated --but only if humans put all the resources of their mind into the fight. Bed nets, insecticides, vaccines, antimalarials, and genetically modified mosquitoes should all have major roles in this fight for the best chance at success. Does the GSK Malaria Vaccine Change Things? Many people might mistakenly believe that because of the development of the first licensed malaria vaccine, GSK's Mosquirix (RTS,S), its rollout and implementation will be a simple feat. However, this is far from the truth. As wily a pathogen as malaria -- which has killed half the humans that have ever lived -- shouldn't be expected to go down so quietly. Make no mistake the RTS,S vaccine is an important step forward and its development, which represents the 1st licensed vaccine for a parasitic disease, will add to the armamentarium of anti-malaria control measures. The problem, however, is that the vaccine's efficacy after the required 4 doses is only 40%. More recent data shows that this 40% figure might slip lower when the malaria parasite's penchant for mutation is taken into account. In a study of over 4500 vaccinees, the efficacy of the vaccine slipped to about 33% when there was a mismatch between the malaria parasite's circumsporzoite C-terminal and the corresponding vaccine component giving rise to the idea of vaccine-resistant malaria. This puts malaria control personnel into a difficult situation. How does one allocate funds with a somewhat protective (but limited) vaccine in the mix? Should less emphasis be placed on indoor spraying? Bed nets? Will the vaccine instill false confidence in the population prompting them to be less compliant with insecticide treated bed nets which unequivocally work. All are difficult questions that will require a lot of thought. It is said that half of all humans who have ever lived died from one cause: malaria. It's hard to imagine any disease having a toll like that. However, the prowess of malaria is something that has modified human behavior--and indeed genes--for a very long time. A book I just finished tells the remarkable story of how the WWII-era US military engaged in all out war against this microbe that had a real potential to derail the war effort. Johns Hopkins University lecturer Karen Masterson expertly details the extensive history of these efforts in The Malaria Project: The U.S. Government's Secret Mission to Find a Miracle Cure. The book reads almost like an adventure story chock full of memorable characters that range from revered generals and scientists to sociopathic murderers as well as Dr. Suess. The events take place on almost every continent and tell the story of how all our modern anti-malarials came to fruition while also addressing important issues such as experimentation on prisoners. The book also concretizes why, even to this day, the military has such a strong interest in infectious diseases--in a phrase: force protection. The sheer amount of material that Ms. Masterson must have had to find and analyze in order to produce this exciting and highly educational narrative must have been daunting. The benefit one gets from reading the book, by comparison, is a bargain because of her diligent work. The antimalarial compound mefloquine (also known by its former brand name) Lariam is a mainstay of malaria prophylaxis. 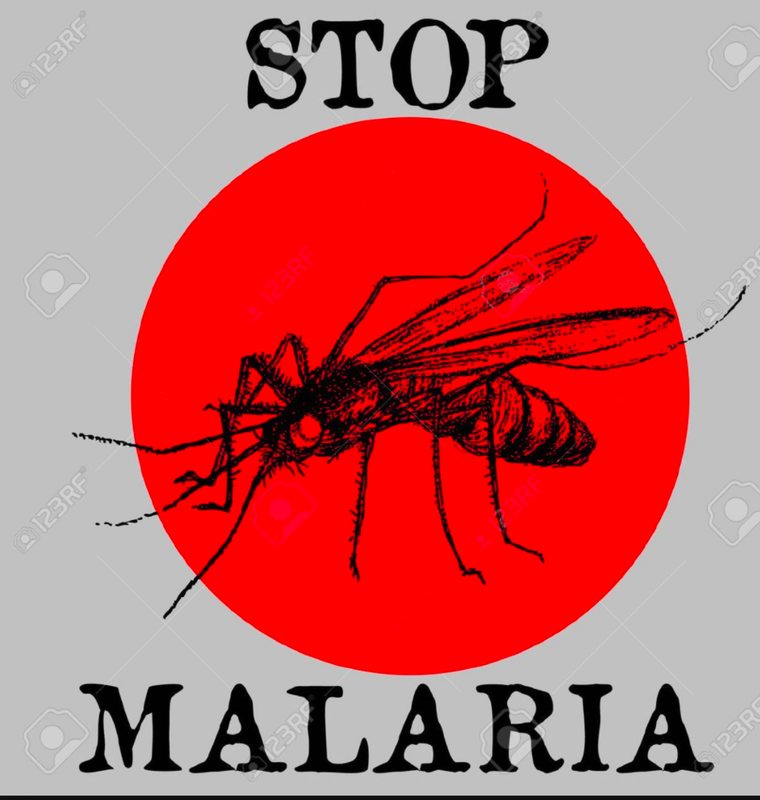 First developed in the 1970's by the US Military, to whom malaria has historically inflicted a countless amount of suffering, it has risen to such wide use that it is one of the drugs included on the WHO's Essential Medication List. The advantage of mefloquine, in an era of malaria-drug resistance, was that it could be used as a preventative prophylactic in many malarious regions of the world (with parts of, for example Vietnam and Laos excepted). All medications have side effects, however one of mefloquine's is becoming so notorious that it was used as a plot device on ABC's Revenge (Lariam is not a character's name, though it would be a good one). The side effect in questions are neuropsychiatric in nature and include hallucinations and bizarre behavior. Milder side effects such as vivid dreams occur in 25% of those taking the medication. In the show mefloquine was employed as a surreptitious means of causing a character to appear mentally ill. These side effects are very real and have even had ramifications in the military's trial of Staff Sergeant Robert Barnes, convicted of killing 17 unarmed Afghanis. Barnes had no rationale to offer for his behavior and he had been on mefloquine in the past. While I believe it not likely that a medication can induce someone to commit such an act. Psychiatric disturbances induced by the drug, in the presence of severe underlying neurologic or psychiatric disorders, may exacerbate homicidal or paranoid thoughts to extreme levels. In today's legal environment, it will not be surprising when mefloquine use is cited as a mitigating factor in a legal proceeding. Fortunately, there are, in most cases, alternatives that can be used and the military has moved away from using mefloquine as its first line antimalarial. Additionally, more general usage has fallen off steeply since the FDA issued a black box warning regarding these side effects, which in some cases are permanent. But, the importance of antimalarial prophylaxis can not be understated. Malaria is a killer and in 2011 the US reached a 40 year high of malaria importations when nearly 2,000 cases were reported. In 2012, approximately 1600 imported cases occurred with 6 deaths; ominously only 6% (!!) of individuals reported adherence to a recommended anti-malarial regimen. Though mefloquine has serious side effects, the role of other anti-malarials is very important and non-compliance is a sure way to contract this dread disease. When people discuss historical uses and development of biological weapons, much emphasis is rightly given to the Soviet, US, and Japanese bioweapon programs. However, there are some other efforts that are very notable but little discussed, including those of Germany. While most know of Germany's efforts, led by Anton Dilger, to infect American horses bound for the war with glanders (in Baltimore) not much is known about further German efforts. There is a general consensus among scholars the German Chancellor Hitler's experience with chemical weapons as a solider in WWI largely biased him against chemical and biological weapons. A recent news article, however, reports National Socialist Germany's efforts under Heinrich Himmler to use malaria-infected mosquitoes during WWII. The article reports that the mosquitoes were bread, but not deployed. As a bioweapon during a war, I tend to think mosquitoes would be a poor choice given the unpredictability of their flight patterns which could easily place one's own soldiers at risk. Moreover, malaria is a treatable and recognizable condition making it less attractive. However, entomological warfare with the covert release of mosquitoes infected with, for example, dengue (as Fidel Castro accused were used against him) might work to create havoc and make a region inhospitable for living. As such, it is a concern that merits consideration.